Weekly Wrap Up . . . Thanksgiving | My Journeys Through Life . . . Herding Cats In New Mexico! This has been a busy, busy week! It began with finalizing my lists for Thanksgiving, as we were to be 15 for dinner! 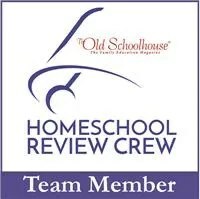 So, starting on Monday, the kids and I were working on getting ahead of the laundry and cleaning, among other things. I was also working hard to finish assembling the base Christmas cards I’m working on for my Hairstylist, Jody Muniz! They are all completed except for adding the bling and stamping the sentiments on the inside! 🙂 I needed to get them to that point so I could put away all of my paper-crafting supplies by Wednesday. Thursday, my husband had to work a four hour shift in the morning, and then about an hour after he got home, our guests began arriving. My friend Rose (who actually happens to work with my husband), her husband Bill and their four children (Danny, Andrew, Ian and Ashley) arrived first, at around 11:00. She is a Pampered Chef consultant, and came with stuff to make a veggie tray and a relish tray, complete with Pampered Chef stuff to make and serve them with! We put those out for the football watchers, but it took a bit of time to get them to eat that along with the chips and dip, lol! She also did a lovely tossed salad, a Honey Baked Ham, dinner rolls, and brought two pies. I did the Turkey, Coconut-Pecan Sweet Potatoes, stuffing, cranberry celebration, gravy and brownies. I forgot to cook the corn I had bought, but there was certainly plenty of food without it! We had such a good time, and those who are into football certainly got their fill this year on Thanksgiving! 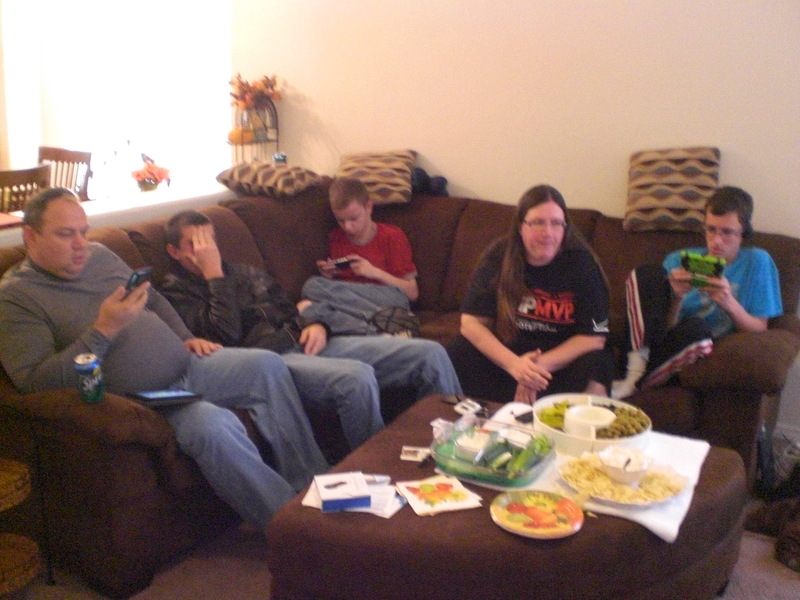 Here are some pictures of everyone having a good time together . 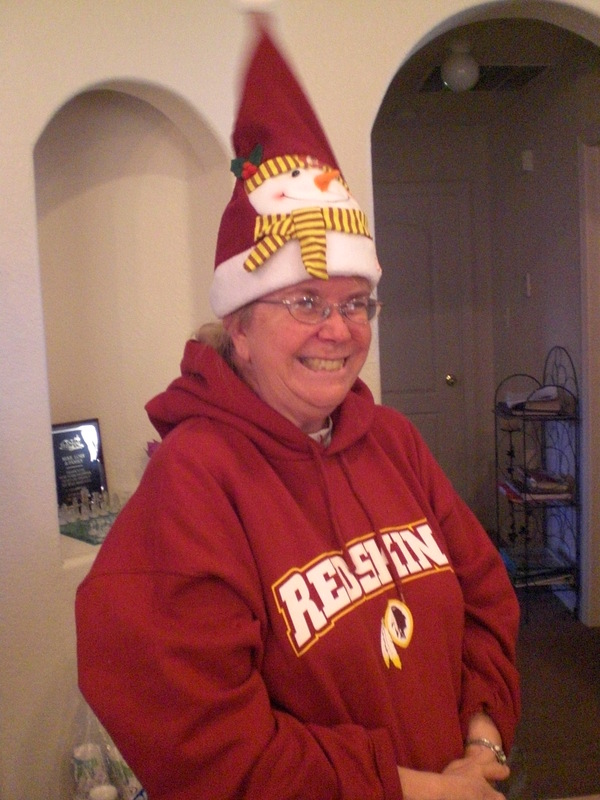 . .
First up, My friend Ann, with her very fun hat! 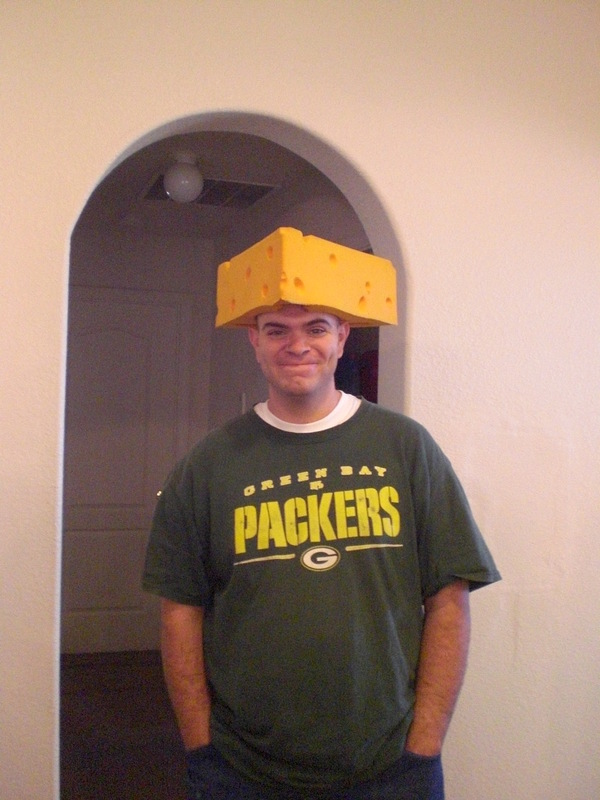 Next, we have Charlie, dressed to root for his team . . . 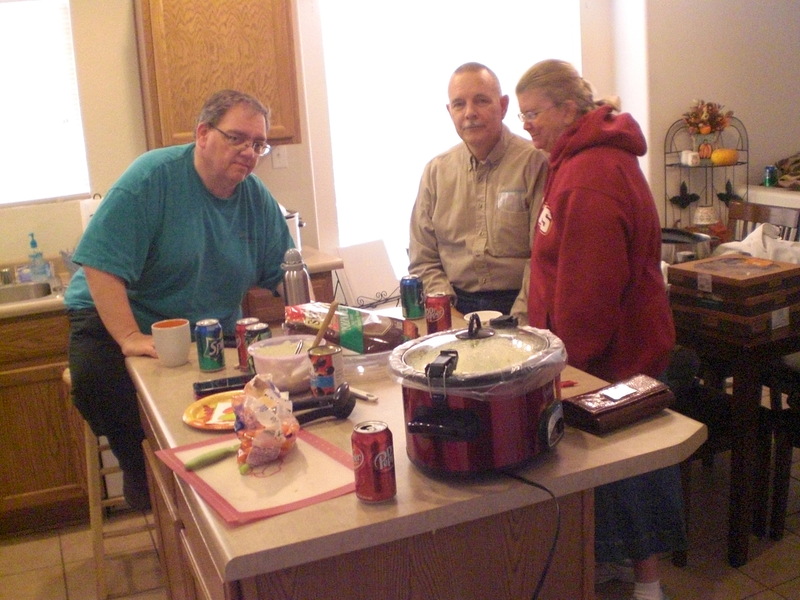 Here is my husband Mike, with Ann and her husband Charles . . . 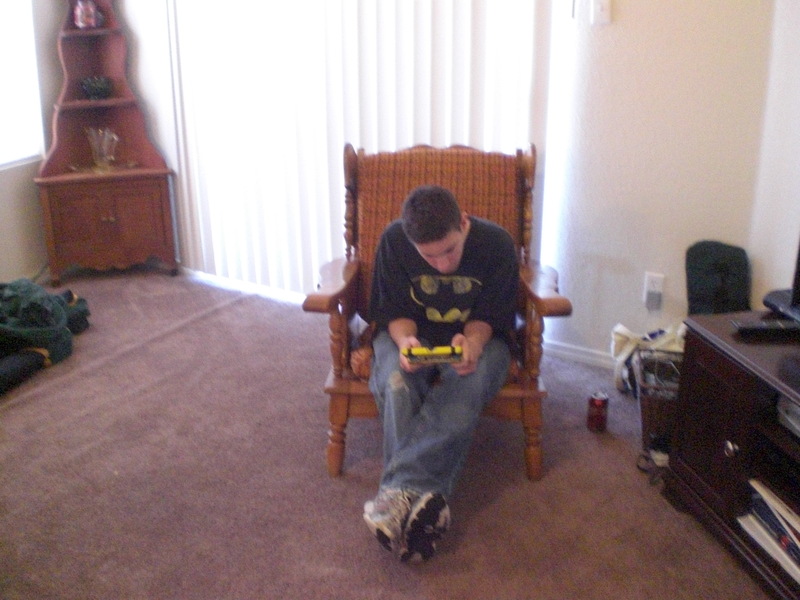 Here, “The Batman” is engrossed in a 3DS game! Next, we have my friend Rose, her husband Bill, 2 of their kids plus “The Artist” . 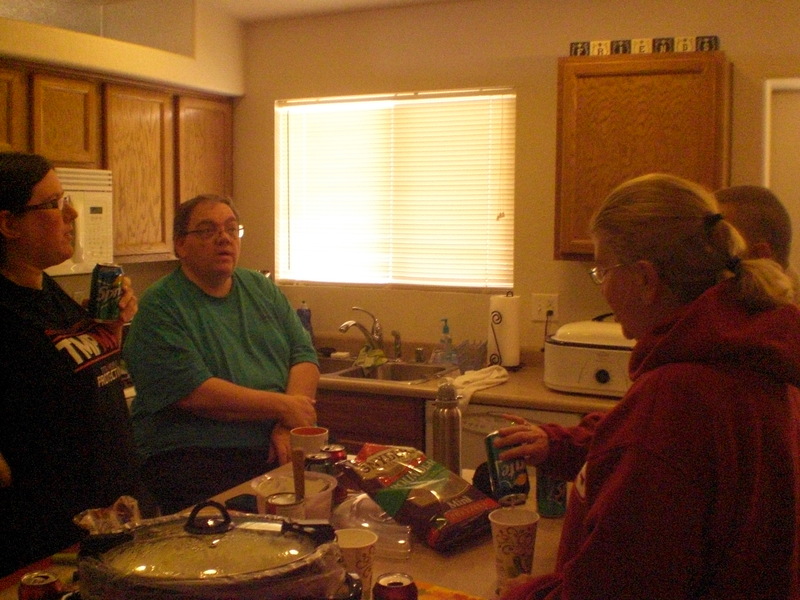 . .
My husband Mike, gabbing with Rose, Ann and Charles . 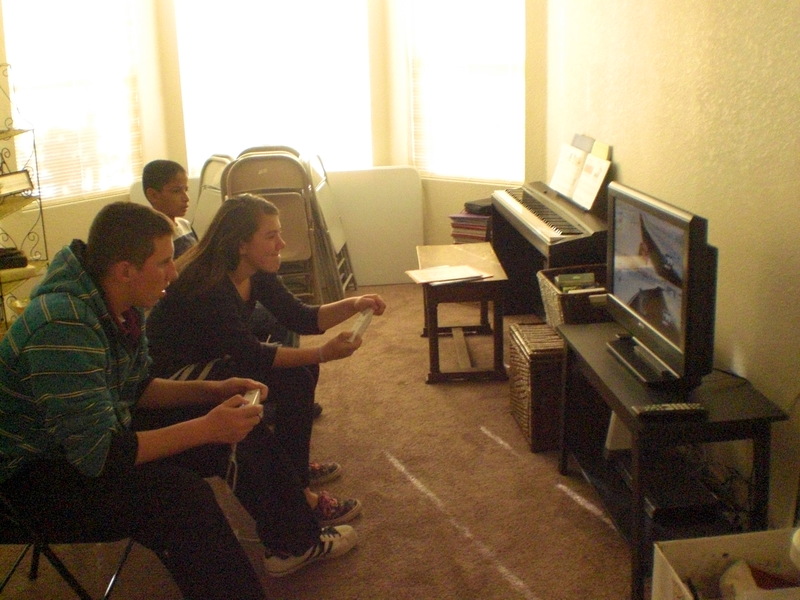 . .
Two of Rose and Bill’s kids, plus “The Puzzler” at the Wii. Well, that’s OUR weekly wrap-up, how was YOUR week? Why don’t you write about it and then go link up with the rest of us? Just click the graphic below!